St. Olaf | MTI: Masonry Technology Inc.
My mother was a graduate of St. Olaf College in Northfield, Minnesota. Knowing that I have an interest in Frank Lloyd Wright, she gave me her latest St. Olaf magazine and pointed me to the article on the last page entitled “Nothing but Scrambled Eggs.” It was an account of the famous architect’s only visit to the campus on January 8, 1936. 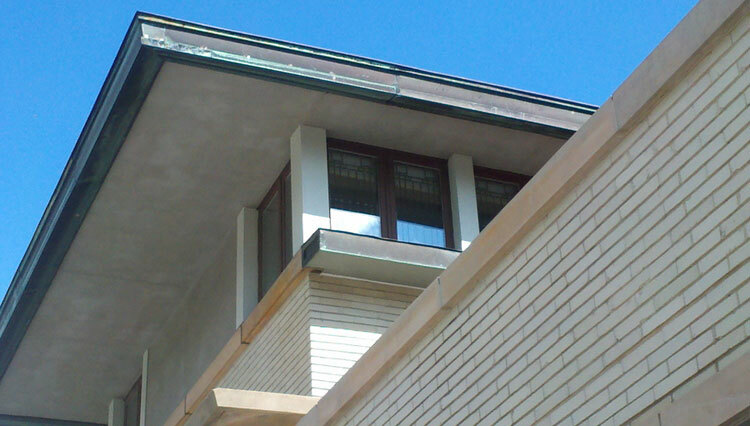 Like so many things associated with Wright, it was punctuated by the unique! What follows is a synopsis of the author’s (Jeff Sauve) article along with my personal take on several incidents. Wright had come to Northfield to give a lecture. Accompanied by his personal assistant, Gene Masselink, they had checked in at a local hotel. However, Wright found the place “not fit for human habitation,” so they promptly checked out and headed for the St. Olaf campus. I am not sure what their next plan was, and the article doesn’t provide any insight, but while they were admiring the recently constructed campus art studio nicknamed the “Art Barn,” the ran into a math professor who directed them to the home of the designer of the studio, professor Arnold Flaten. Shortly after dinned, Wright and Masselink, left for the lecture. It was, however, a very short trip! For those of you not familiar with January in Minnesota, it’s usually snowy, icy and cold. Add that to the hilly terrain of Northfield and the St. Olaf campus, and you have the perfect mix for accidents. As Wright’s car backed down the steep driveway, it slid out of control and into a snowbank. Wright climbed out of the car, walked back to the house and took a nap on the couch, leaving the problem to his assistant and professor Flaten. Once the car was dug out, the group headed for the lecture hall, and once again, the car slid into another snowbank. And once again Wright took a short nap while Masselink and Flaten dug out the vehicle. This reaction seems almost metaphorical to me. Wright’s world was peppered with problems, some of them, like the 1914 fire at Taliesin, can only be described as horrific. But Wright always seemed able sublimate the negatives and move on. I am not sure whether or not it’s an admirable quality, but it does seem to be characteristic of the famous architect. Eventually, the three men made it to the lecture hall, and Wright delivered his message to a large crowd. As was his style, Wright didn’t mask his opinions. His message was on organic architecture, and he suggested that maybe Americans couldn’t understand that kind of building because, although Americans were well-educated, “too many young people have been made into scientists and not into artists.” This comment aligns with another of my beliefs about Wright; he never let science, math and engineering get in the way of his designs. Although beautiful to the eye, many of then had serious engineering flaws. A perfect example of this is the famous Fallingwater house, where his cantilevered decks began to sag almost as soon as they were finished and ultimately cost millions to repair.